PFC. Vasquez and PFC. 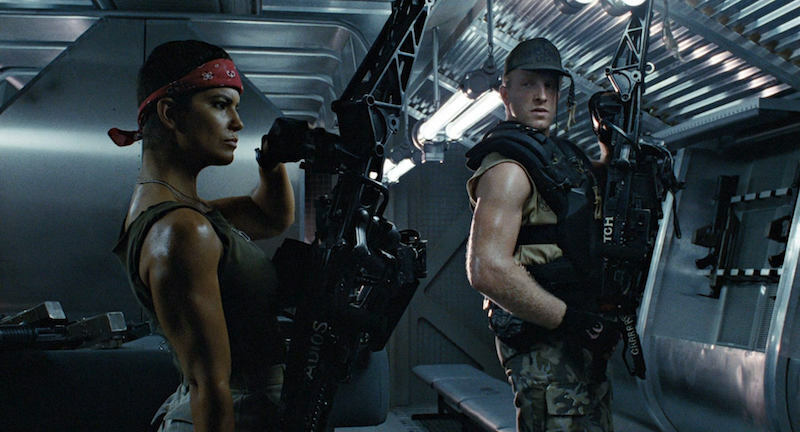 Drake, Smartgun Operators attached to 2nd Battalion, Bravo Team of the United States Colonial Marine Corps (USCMC), onboard the USS Sulaco, from the movie Aliens. Photo credit: Fox. Having almost run out of foes to fight on Earth, the US House Armed Services Committee has set its iron sights on the Solar System. The committee has voted in favor of the creation of a brand new ‘space corps’ army branch, whose mission would be to conduct exoatmospheric operations. The proposal, which has bipartisan backing, would require the personal signature of President Donald Trump to become a reality. If it comes to pass, the so-called ‘Space Corps’ would become the sixth branch of the US Army, and the first US command to be created in seven decades. The new corps would assume the responsibilities currently carried by the US Air Force in outer space. The Air Force does have a Space Division at present time, but if the new proposals become law, the space branch would become its own entity, featuring a new chain of command. The ‘space soldiers’ would presumably be tasked with defending US interests around known space, and defend the country from potential alien threats. Posted on July 21, 2017 July 21, 2017 by d4hakkaPosted in Current affairsTagged news, space corps, united states, us house armed services commitee.